Mark July 26, 2010 on your calender! 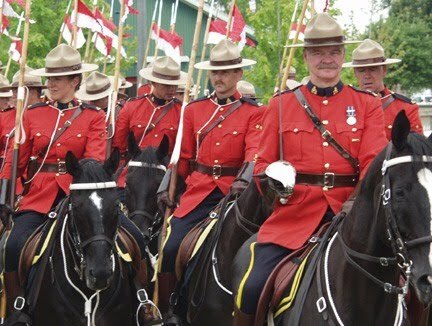 The RCMP Muscial Ride is coming to Banff. The last time the RCMP Musical Ride was in Banff was in 2003 & we now have the opportunity welcome them back. It is fantastic show with over 30 horses and riders performing drills choreographed to music. 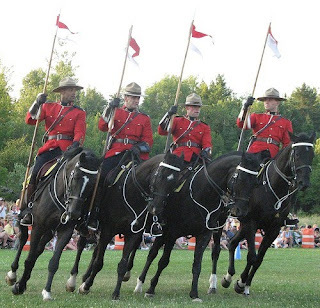 There will be two shows taking place, 1:00 pm & 6:00 pm at the Banff High School Recreation Field. Tickets will go on sale as of May 11th through the Banff Centre Box Office by calling 1-403-762-6301 or through Ticketmaster. Adults are $15.00 and children 2 years of age and under are admitted free. See you in the Rockies soon!